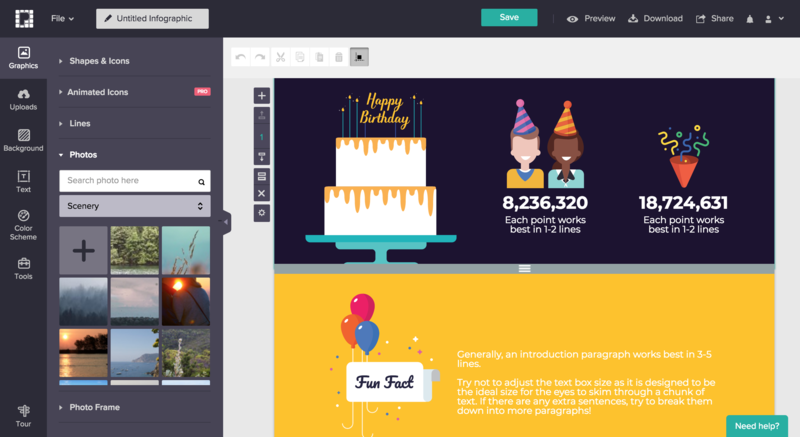 Piktochart enables users to create beautiful infographics, presentations, and printables through easy-to-use templates that have been professionally designed. Although these templates provide a great starting point for new users, they don't necessarily show the full range of Piktochart's editing and design capabilities. 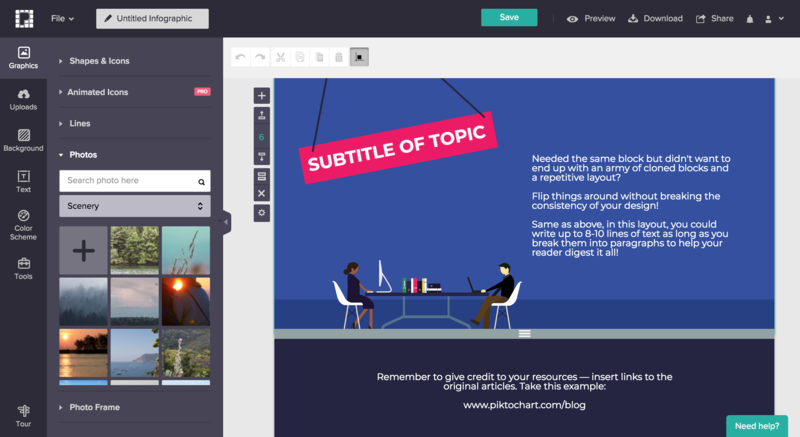 Piktochart overcomes that challenge by embedding instructional copy right in their templates. 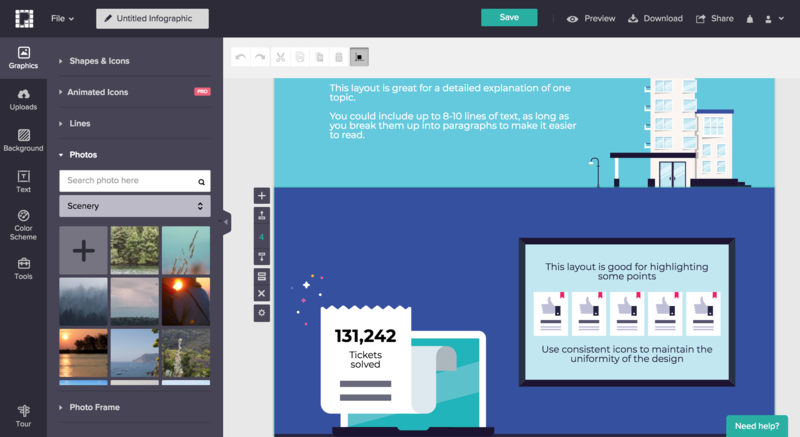 Piktochart instructs users by both show and tell: they show them how great their future visual can look and they tell them what to place in each part for best results. The onboarding is embedded into the template itself helping users learn by doing. The friendly and instructive copy highlights best practices and explains to users how (not) to use each element, helping them make good design decisions along the way. The ideas and suggestions in the templates encourage each user's individual creativity rather than limit it with strict rules to follow.